Total New Privately Owned Housing Units Started. Thousand Units, Annual Rate. Thousand Units. Annual Rate, Seasonally Adjusted. 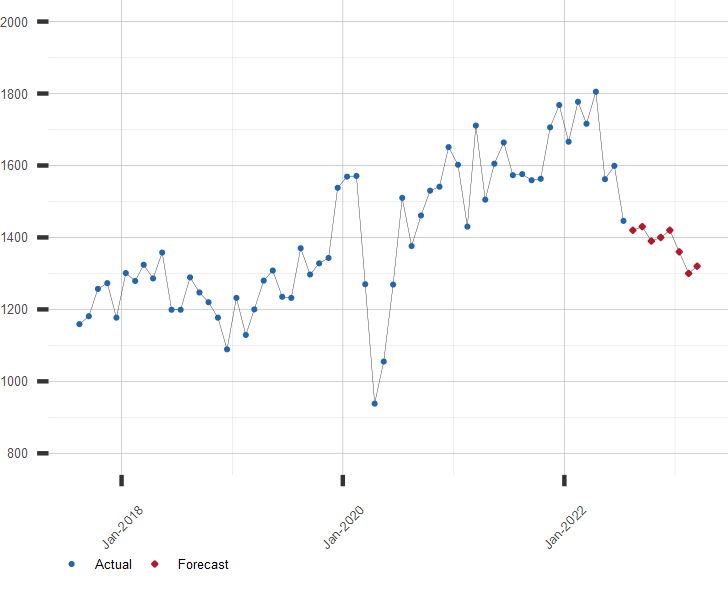 A long range forecast for Housing Starts and similar economic series is available by subscription. Click here for more information or to subscribe.